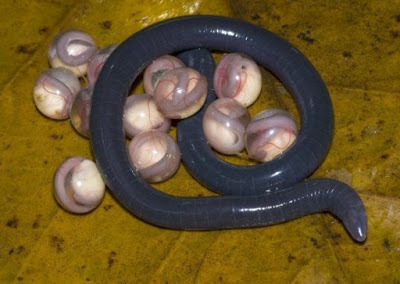 This creatures on the left was called Chikilidae it's a new species of legless amphibian who was also known as a caecilian, early on this month the pictures of this newly discovered organism was released by frogindia.org. Since before the age of dinosaurs This Chikilidae Species has burrowed unbothered beneath the monsoon-soaked soils of remote northeast India - unknown to science and mistaken by villagers as a deadly, miniature snake. 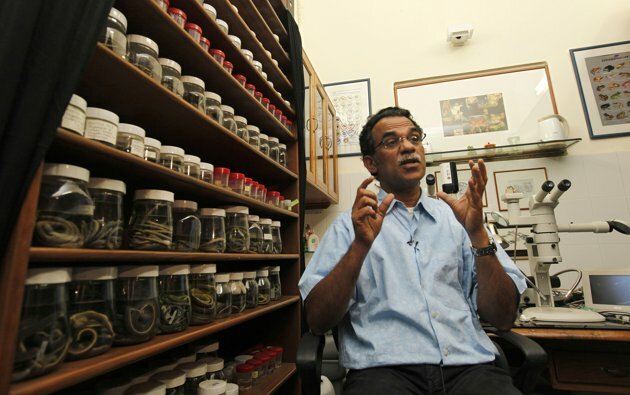 thanks to an intrepid team of biologists led by University of Delhi professor Sathyabhama Das Biju. 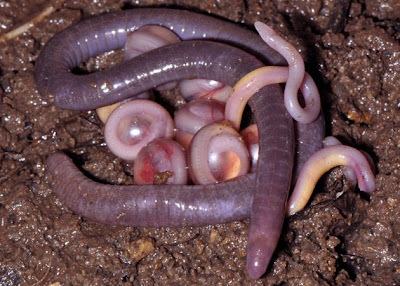 Over five years of digging through forest beds in the rain, the team has identified an entirely new family of amphibians - called chikilidae - endemic to the region but with ancient links to Africa. According to Professor Sathyabhama Das Biju this creature or Chikilidae is harmless, and may even be the farmer's best friend - feasting on worms and insects that might harm crops, and churning the soil as it moves underground. Much remains to be discovered in further study, Biju said, as many questions remain about how the creatures live. So far, Biju's team has determined that an adult chikilidae will remain with its eggs until they hatch, forgoing food for some 50 days. 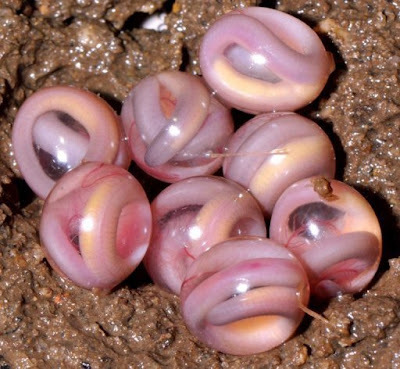 When the eggs hatch, the young emerge as tiny adults and squirm away. 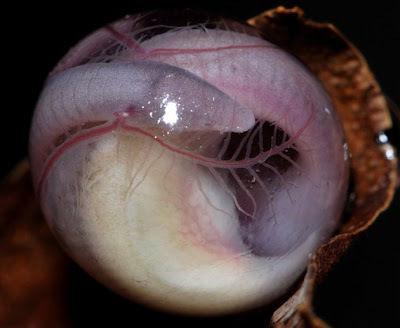 Here's some photos of this newly discovered legless amphibian called Chikilidae. It's a bit weird for me especially their egg.